This external label unwinder is ideal for use with the VIP Color VP485e and VP495e colour inkjet label printer. It features an easy to set up "quick chuck" label roll holding system and supports the rewind/unwind function needed by the VP series printers. It also includes a specially designed base plate with unique positioning holes for the rubber feet of the VP485e / VP495e printer to fit in to thus ensuring the unwinder is straight and in-line with the printer every time. 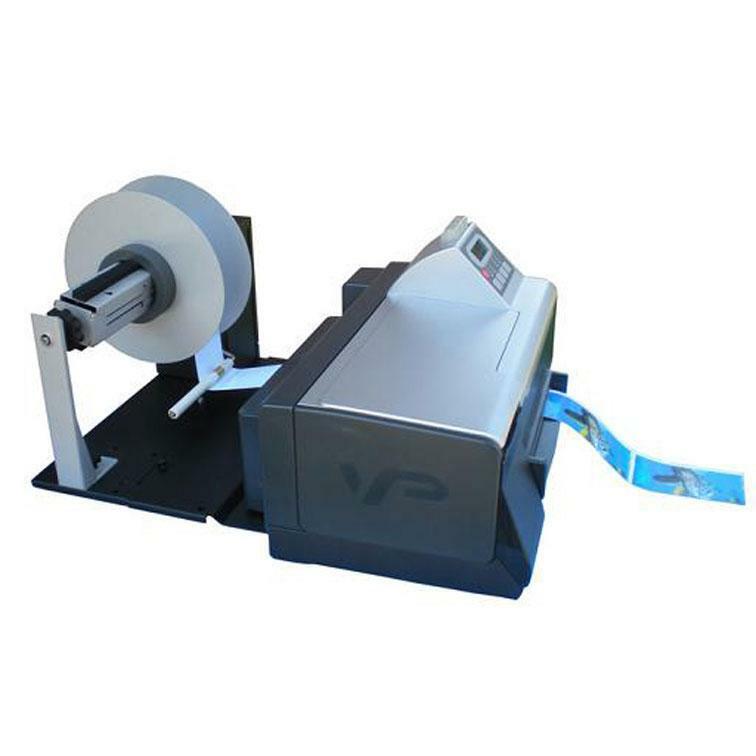 When used in conjunction with the DPR rewinder for the VP series you have the best chance of printing high quality accurately positioned labels using this unwinder.